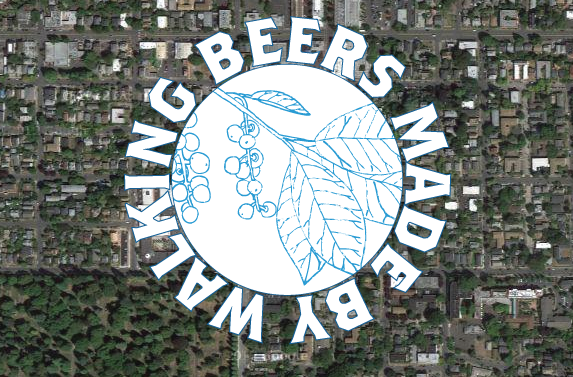 As the growing season begins we'll make sure to keep you posted on the various Beers Made By Walking nature walks, urban walks, and tasting events. We have a number of them lined up throughout Oregon and Colorado this year! You can also make sure to keep up to date by liking our page on Facebook and getting email updates when we update our site. The first public walk of the season will happen in Portland on May 18th at 5pm. Meet in front of Coalition Brewing, at 2724 SE Ankeny St. We will walk through some neighborhoods and to a couple parks and we will identify edible and medicinal plants in these areas. The walk will last from 1-1.5 hours and we will cover approximately two miles. Perhaps we'll walk by your house? The brewers from both Coalition Brewing and Upright Brewing are coming along with us and later in the summer they will prepare a beer inspired by this walk. The beer will be available sometime in October during our all-Oregon BMBW tapping. The hike will be led by Glen Nagel, who is an Assistant Professor at the Natural College of Natural Medicine and the curator at the Zidell Garden. The walk is also a part of the Open Engagement conference, through Portland State University, however, the walk is completely free and open to the public. This walk is our first public urban walk, it should be a great time and we hope to see you there!